Every person in America, if not around a good part of the world, will remember September 11, 2001 for the rest of his or her life. There’s no question about it. The horrifying images — a smoldering hole in the shattered wall of the Pentagon, the scorched Pennsylvania field, the shocking image of a plane colliding with the World Trade Center, and the subsequent terrifying visions of that building crashing down while people with panic-stricken faces were fleeing for their very lives — blared repeatedly from television sets across the country; these were living nightmares destined to haunt, torment, and frighten seemingly forever. A year has now passed and while the initial fears have faded — no doubt desensitized by the repetitious onslaught of a media that just won’t let go — the painful wound remains, lingering just beneath the surface of America’s collectively calloused skin. As has been the case with major events throughout history, artists immediately began to take on the topic, and music has played an important role in Americans’ healing and understanding of these experiences. At first, there were, of course, countless benefits, offering music and raising funds for those who needed it most. But perhaps the greatest immediate impact came on an individual and personal level as people around the country began to hear songs and lyrics — both old and new — with a fresh perspective. Most notable were Bob Dylan’s Love and Theft (which was actually released on September 11) and Wilco’s Yankee Hotel Foxtrot. Both albums were written and recorded long before that fateful day, yet both also seemed to carry a bit of weighty, premonitory wisdom that spoke volumes in the aftermath. There were many songs, too — Natalie Merchant’s This House is on Fire, Ryan Adams’ New York, New York, The Beatles’ Yesterday and Let It Be, John Lennon’s Imagine, to name just a few — that also suddenly struck us in a different way. My own list could go on and on; it didn’t seem to matter what album or song was playing — there was always something that stuck. No doubt, it was the same for everyone. The next step in this artistic journey, of course, is contained within the albums that have been conceived, written, and recorded since September 11. There have been quite a few songs as well as a slew of albums that have touched upon the subject in some manner or another — some intentional, some less so. Unfortunately, most tended towards jingoistic flag-waving rather than any sort of deeper understanding. And of course, none have so fully embraced the subject — or are being marketed as such — as Bruce Springsteen’s The Rising and Steve Earle’s Jerusalem. In 1999, Bruce Springsteen reunited with the E Street Band for a rousing tour that thrust him back into the limelight. Unlike most events hyped to such an extraordinary level, the ensemble defied the odds and once again made itself relevant. This wasn’t just a blast through the past; this was a tour of hope, healing, and rebirth that revealed several new social commentaries such as American Skin and Land of Hope and Dreams. Two years later, America was thrust into strange, uncertain times, and on a nationally broadcast benefit concert for the victims of the September 11 tragedy, Springsteen rose to the occasion, delivering a powerful rendition of My City of Ruins. It didn’t seem to matter that the song had originally been written to chronicle the deterioration of Asbury Park, New Jersey — Springsteen’s old stomping grounds. Suddenly the song’s lyrics took on new meaning, making a powerful statement and giving it a life of its own. To say that expectations were high as Springsteen and the E Street Band descended upon a recording studio for the first time in decades is an understatement. Springsteen’s solo outing The Ghost of Tom Joad was an underappreciated masterpiece; the new songs unveiled on his latest tour were Woody Guthrie-inspired anthems; and even if My City of Ruins had nothing to do with September 11, it was hard to imagine any song better capturing the mood of a nation. Given all of this, one would expect The Rising to be an absolute masterpiece, and indeed, many have deemed it to be exactly that. Truthfully, however, it’s hard to see The Rising as anything but an absolute disappointment. For one, many of the songs are drenched in the same god-awful ’80s synth sounds and arena rock posings that spoiled Born in the U.S.A., Springsteen’s last outing with the E Street Band. But even if the songs were better represented on the album, some have potential; others fare far worse. Despite the description in its verses and the prayer in its chorus, the firefighter’s tale Into the Fire plays like a flat pop song instead of the incendiary gospel tune it could have been. Nothing Man is merely an inferior remake of Secret Garden. And, where Lonesome Day should ride out in a blaze of glory, it instead buries the sound of Clarence Clemons’ soulful sax so far beneath a wall of sound that it’s nearly impossible to discern. Worse, when Clemons is finally allowed to wail, it’s merely to save an otherwise tiresome excursion like Waitin’ on a Sunny Day. You get the picture. Let’s move on. Another major flaw with The Rising lies within its lyrics. There’s a huge difference between what it strives to be and what it truly is. Although one wouldn’t know it from the myriad of reviews spewed out by the hype-machine that is Corporate America, several of these songs have absolutely nothing to do with the September 11 events. This, of course, completely blows apart the idea that The Rising is in any way a cohesive concept album. It’s true that as a whole, it blends a sense of despair with the need to have faith in something greater. But there’s so much distance between Springsteen and his subject matter that much of it just doesn’t work, particularly when the lyrics feel forced to fit, or worse, they need to be stretched to such an unrealistic and imaginary extreme in order to make them hold together song after song for the complete duration of the disc. This is not a concept album, folks. It’s a collection of songs — some of them linked, some of them not. To read T.J. Simon's review, Click Here! 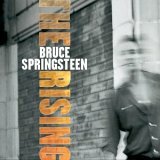 The Rising is available from Barnes & Noble. Like Springsteen, Steve Earle often has spoken for the common man. But on his latest outing Jerusalem, Earle takes a very different approach. Instead, he tackles the underlying political issues — and he doesn’t stop merely with September 11 — that most Americans would like to ignore. Indeed, the album contains some of the most pointed barbs at Western society that Earle has ever crafted, and long before the album was even scheduled for release, Earle was on the receiving end of a boycott led by conservative media and the Nashville mainstream. Most of the flak has come in regards to John Walker’s Blues, a song that digs into the psyche of the infamous American-turned-Taliban fighter, but Earle doesn’t so much as defend Walker’s actions as he does attempt to comprehend them. For the record, this isn’t the first time that Earle has taken on an unpopular persona; with a similar first-person perspective, Over Yonder from Transcendental Blues told the tale of a murderer on death row. Of course, there’s a big difference between defense of an action and an attempt to comprehend it, but those so-called compassionate conservatives with large flags and small minds won’t ever sit still long enough to figure it out. Their outrage might be laughable at best were it not for the fact that their notions strike at the very heart and soul of what America means. Of course, this isn’t the first time that free speech has come under attack so fiercely in America. Back in the ’50s, Joseph McCarthy led a witchhunt for Communists that needlessly ruined the lives of countless Americans. By some strange, but timely coincidence, Hollywood delivered The Majestic to theaters last December. The film starred Jim Carrey as screenwriter Peter Appleton in a fictional tale based on these very real events, and its central theme was the notion of free speech, no matter what the cost. At the film’s climax, Appleton delivers a rousing speech to HUAC (the House Un-American Activities Committee) that resonates in the wake of the Bush Administration’s severe restrictions on Americans’ civil liberties. After reading from the First Amendment to the U.S. Constitution, Appleton states, "It’s everything we’re about if only we’d live up to it. It’s the most important part of the contract every citizen has with this country. And, even though these contracts — the Constitution and the Bill of Rights — even though they’re just pieces of paper with signatures on them, they’re the only contracts we have that are most definitely not subject to renegotiation. Not by anyone, ever. Too many people have paid for this contract in blood." And that is exactly why an album like Steve Earle’s Jerusalem deserves to see the light of day and why it deserves better than being buried on some back shelf, boycotted by the handful of corporate entities that control the mainstream media. Earle’s voice is too important not to be heard, simply because he addresses the issues head-on instead of glossing over them with a anchorman’s "it doesn’t impact me" smirk before heading into a feel-good piece and the next commercial break. On the opening Ashes to Ashes, Earle draws comparisons between the extinction of dinosaurs and fate of mankind, while elsewhere he digs into the many domestic problems plaguing this country, from health care and poverty [Amerika v. 6.0 (The Best We Can Do)] to immigration (What’s a Simple Man to Do?) to the burgeoning prison population (The Truth). Throughout the album, Earle delivers a rallying cry for change, calling Americans to task for burying their heads in the sand and pretending that what is happening around them makes little difference in their lives. Most notably, on Amerika v. 6.0 (The Best We Can Do), Earle cops the main riff from the Rolling Stones’ Jumping Jack Flash, using it wisely to underscore his point that for many, things aren’t exactly a gas. 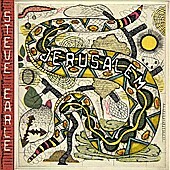 Musically, Jerusalem draws from the same hybridized, punk-driven, country-rock psychedelia that fueled Earle’s last effort Transcendental Blues. A few of the songs (The Kind and I Remember You, in particular) do sound like revamped versions of earlier efforts, but the bulk of the album improves upon Earle’s tried and true formula of recent years. Ashes to Ashes is a startlingly intense beginning to the album, as the angst in Earle’s voice and the ominous clatter of guitar, bass, drums, and harmonica mesh to match the urgency of his lyrics. On Conspiracy Theory, Earle upends an R&B groove, one which is also vaguely reminiscent of Roy Orbison’s Oh, Pretty Woman, and turns it into something wildly unnerving. Indeed, the first half of Jerusalem marks some of the most extraordinarily intense music Earle has ever recorded, but midway through it, the album breaks down slightly. Granted, several of these songs are delivered with such force, it’s not a simple matter to keep it going. But the drop-off is so noticeable that it becomes jarring. In addition, the lessening of intensity seems to coincide with a lyrical shift from songs full of specificity to those of a less distinctive nature. It’s not that songs like Go Amanda and I Remember You are bad songs, they just don’t seem to quite fit as well as others on the album. Regardless, the fact remains that Jerusalem is still a superb effort with some of the finest songs of Earle’s distinguished career. Jerusalem is available from Barnes & Noble. The Majestic is available from Barnes & Noble.